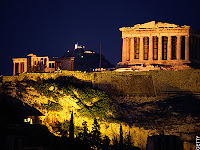 On June 11th, the Daily Telegraph featured Athens as a surprising and energetic city as cited by philhellene and Scottish crime writer Paul Johnston. In the article, Johnston, who first came to Greece in 1976 and now splits his time between Athens and Edinburgh, masterfully explains how Athens has modernized (and Westernized) since his first taste, but notes that it still retains its unique charm thanks to a handful characteristically Greek assets, including periptera, which can best be described as sidewalk newsstands filled to the brim with newspapers, crisps, candy, beverages, ice cream and local soccer memorabilia. Well, thank goodness for philhellenes since all many of us Hellenes can do is just complain! Before you dismiss Johnston as a tourist enamored with Greece, take note that he lived in the country for a while since 1988. In addition to splitting his time between Athens and Edinburgh, which he cites as the Athens of the North, he also put Greece on the crime novel map with his novels, A Deeper Shade of Blue and The Golden Silence. In fact, The Golden Silence is scheduled to be developed as a film by a Glyfada-based company that plans to shoot in Greece with English-speaking actors in 2009. 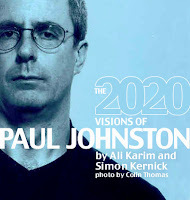 Paul Johnston's newest book, The Death List, goes on sale on June 15, 2007 in the UK and on July 1, 2007 in the US. And for you pessimists, I thought it might be worth mentioning that this glowing piece will be seen by millions of potential tourists as the Daily Telegraph is the UK's best selling quality (non-tabloid) newspaper and boasts a readership over two million. Sounds like I should go to Greece too!! !